When it comes to fluid cleanliness and condition monitoring, MP Filtri provide the expertise & response required within a fast moving global hydraulic industry. A continual focus on quality and engineering means that we provide the best solution and service for all our customers. Our organization is amongst the highly trusted supplier and trader of high quality array of Statistical Analysis of Oils. These are procured from the reliable and trusted vendors of the market. 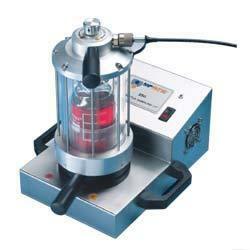 These are highly appreciated among our clients due to their light weight and compact design. Moreover, these have full accessories kit included and are available at reasonable rates. The CML is a portable, accurate instrument-suitablefor 'on-site' applications utilising mineral oil as the operating fluid. It can automatically measure and display particulate contamination, moisture and temperature levels in various hydraulic fluids. For greater loads and higher efficiencies, we have also brought forth to our valued clients these supreme Atex Fluid Condition Monitors. These are highly demanded in market due to their long lasting durability and superb performance. These also have PLC Control across various communication protocols and are available in market at reasonable prices. ICM/LPA - AZ2 products Our AZ2 products can automatically measure and save particulate contamination, moisture and temperature ulevels in various hydraulic fluids. They designed specifically to be mounted directly to systems, where ongoing measurement or analysis is required, in high risk or explosive environments. Certified Zone II Cat. 3 G rating. 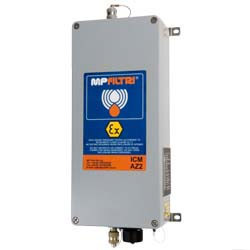 Looking for MP Filtri Oil Condition Monitoring Systems ?